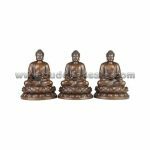 • Placement: Meditation Room, Office, Living Room, Bookshelf, Study Room, Curio, Credenza, Shrine, Mantel, Patio, Foyer, Etc. 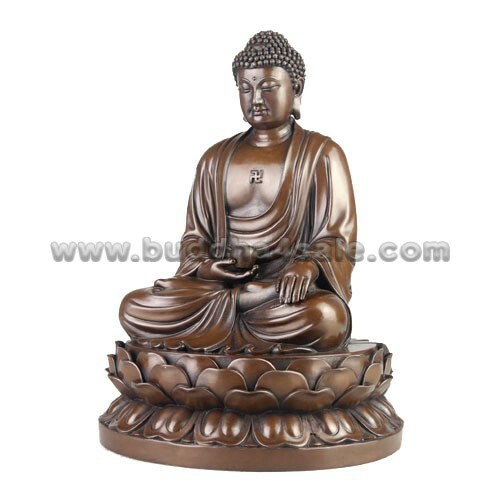 • Shakyamuni Buddha is a name given to the historical Buddha, especially in Mahayana Buddhism. So it’s nearly always the case that when someone is talking about Shakyamuni, he or she is speaking of the historical figure who was born Siddhartha Gautama, but only after he became the Buddha. 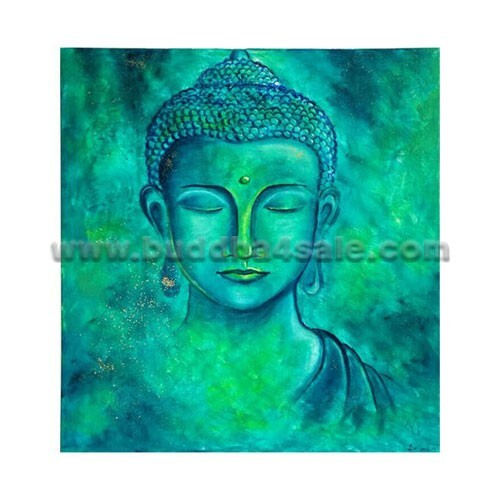 This person, after his enlightenment, is also sometimes called Gautama Buddha. The Shakyamuni, Amitabha, and Medicine Buddha together are called The Trikala Buddhas, and alsocalled the Buddha Sambo. 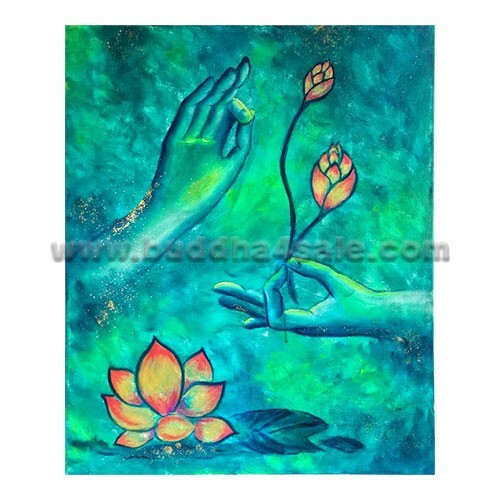 • The brass Shakyamuni Buddha for sale sits contentedly in Dhyana Mudra with a patra on his hand. The founder of Buddhism, Shayamuni is said to have meditated in this position for 40 days under the Bodhi tree before attaining enlightenment. 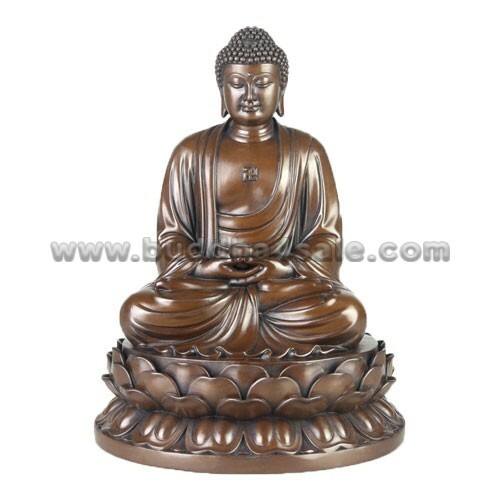 The slight smile of the Shakyamuni Buddha radiates warmth and compassion. 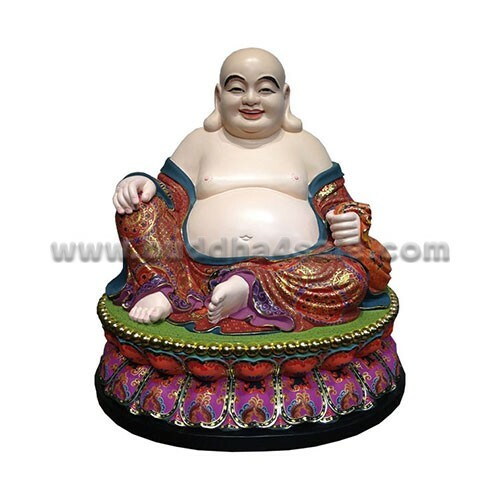 The smooth surface of the Lord Buddhas is the highlight of the piece. 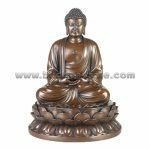 This gorgeous 9 inches cold cast copper finish Buddha of Shaykamuni Buddha has the finest details and highest quality which bears a distinct value appreciation and collection. 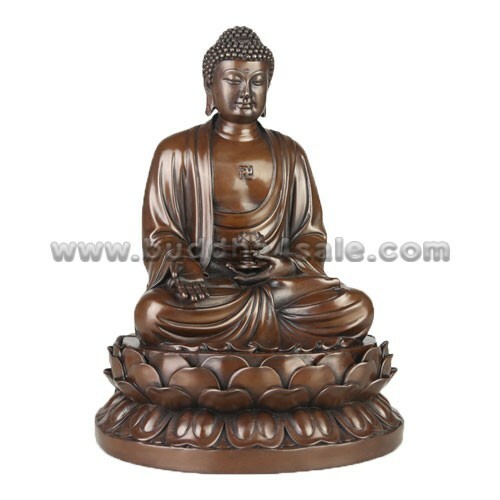 • Antique Buddha table decor with religious blend.